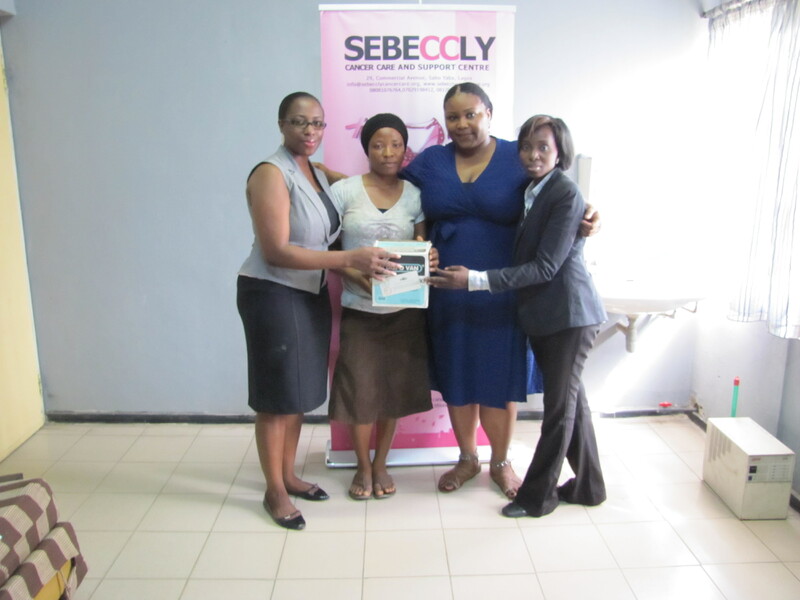 The idea was initiated when Wana Udobang participated in a compelling lecture organized by Sebeccly Cancer Care and Support Centre (SCCSC)about cancer and its effects on the affected persons, their families and community. Like the proverbial mustard seed faith, the idea developed and became established thanks to the drive and passion of its initiators. 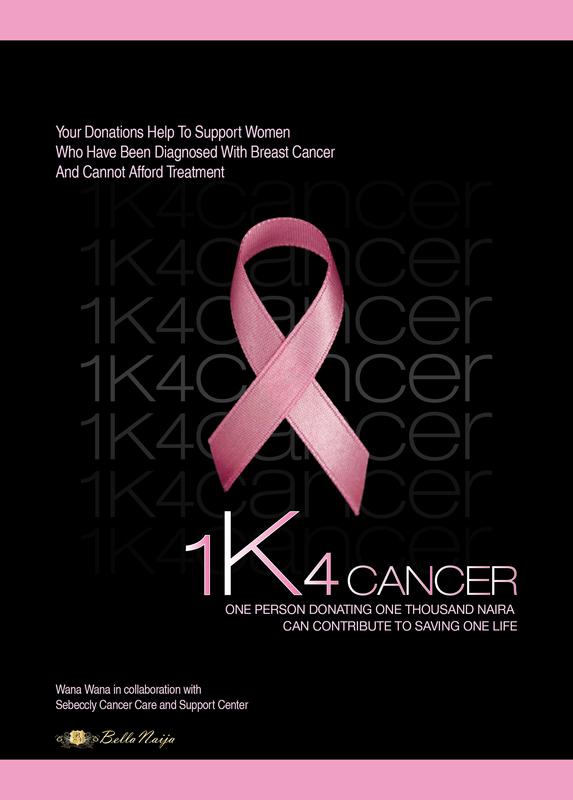 IK4Cancer’s initial strategy targeted October 2011, a month dedicated to Breast Cancer all over the world, a credible organization was also identified to be beneficiaries and recipients of the 1K4Cancer initiative. SCCSC was selected as partners for the fundraising campaign that commenced in the month of October. This organization was selected for its plausible interventions to relieve breast cancer patients, survivors and their families over the years. 1K4Cancer was launched on October 1st 2011, with the goal of raising One Million Naira for the treatment and care of breast cancer patients at SCCSC by asking one thousand well meaning individuals to give one thousand naira each. By mid-month, 1K4Cancer had conducted fundraising in several firms, at the Silverbird Galleria, Lagos as well as partnered with StandUp4Cancer during their breast cancer screening event. 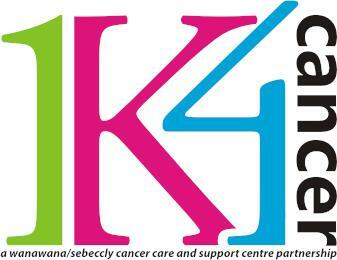 By the end of October, 1K4Cancer had raised over one million naira. 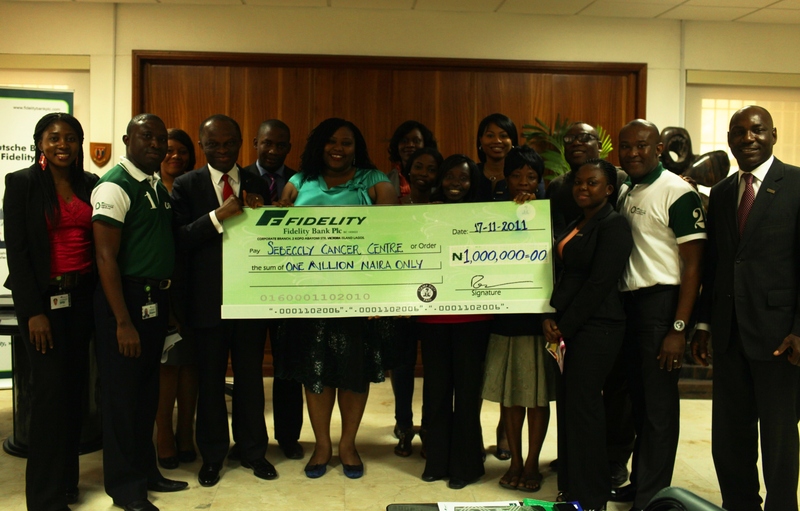 Towards the end of this Breast Cancer Month 2011, Wana received a call from Fidelity Bank; their CSR arm had raised One Million Naira adding to the already raised sum from several well meaning individuals and corporate organizations. This was truly an uplifting call and brought the total amount of contributions up to 2,390,000 Naira. Veronica, a 27 year-old Nigerian woman living with breast cancer was diagnosed in 2008. A targeted therapy was prescribed by her doctors in March 2010 but she was unable to afford it as her family business had stopped thriving. With most of her earnings devoured by tests, surgery, chemotherapy, blood transfusions, and etc; Veronica took on the sterile effort of attempting to raise funds on her own from individuals and corporate organizations. Fortunately, Veronica discovered and participated in the workshop for Media Professionals where part of her speech included the fact that she “wet [her] pillow every night thinking of how [to] get money to get the treatment that would save [her] life”. She mentioned expenses on various treatments summing up to over one million naira in the past three years, in spite of which funds were still needed. This same workshop birthed the 1K4Cancer campaign and aligned Veronica with the initiative. The 1K4Cancer and Sebeccly team are immensely grateful to every individual, volunteer and corporate organization that has made Veronica’s treatment possible thereby giving her a new hope. 1K4Cancer will continue in the spirit of partnerships to reach the goal of helping as many affected women and their families in need.